How will Formula 1 remember Fernando Alonso? Ahead of Fernando Alonso's final Formula 1 race on Sunday in Abu Dhabi, Luke Smith considers how the sport will remember the two-time world champion in years to come. Any racing driver will find themselves amid the final weekend of their Formula 1 careers at one stage or another, whether they are aware of it or not. A number of eras are set to end in Abu Dhabi this Sunday, the race likely being the final time some of the current racers line up on the grid in the sport. But Fernando Alonso isn’t just any racing driver. He may have encountered glory and defeat, dealt with his fair share of sagas and produced some stunning on-track moments – all achievements many of his peers share – yet the fashion in which he has completed 17 seasons in the pinnacle of motorsport creates one of the most fascinating and intricate stories in recent F1 history. I wrote earlier this month that we should not feel sorry for Alonso – and it’s true, we really, really shouldn’t. That being the case, just what should we feel towards him? And how is F1, a sport with a history spanning seven decades, going to remember him? Fernando Alonso’s ability was fanfared upon his F1 arrival in 2001, albeit masked somewhat by the backmarker Minardi car he found himself driving. 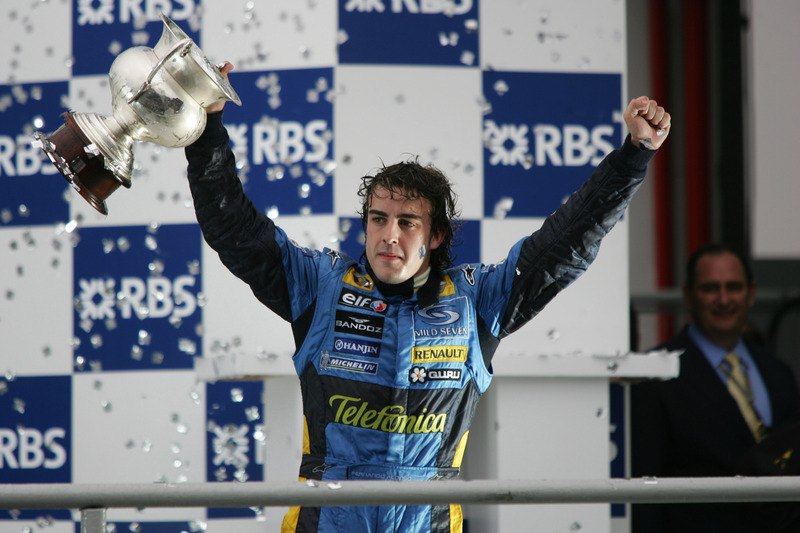 But the moment he got his first opportunity to shine with Renault in 2003, Alonso took full advantage of it, claiming his maiden pole position in just his second race for the team. Jockeying to be the driver to finally depose Michael Schumacher and Ferrari, Alonso made good on his promise in 2005. In a year that saw Renault finally step up to the top table in F1, fighting with McLaren as Ferrari faded, Alonso led its charge and clinched his maiden drivers’ title with two races to spare, becoming the youngest champion in F1 history in the process. It marked a changing of the guard, best illustrated that year at Imola, when, coming under intense pressure from Schumacher in front of grandstands filled with Ferrari’s ‘Tifosi’ fans, Alonso held his nerve to take victory. Alonso made even more of an impression the following year when he went toe-to-toe with Schumacher for the title and came out on top, propelled by a stunning start to the year. Schumacher would retire at the end of the season, forced out of Ferrari in order to make way for the incoming Kimi Raikkonen. Over a decade later, the Prancing Horse is still searching for the same kind of formula that made it so devastatingly dominant. The achievements of Alonso and Renault in this period need to be properly recognised. To snap a spell of dominance such as that of Schumacher and Ferrari is no mean feat (case in point: Ferrari’s current efforts to quell the Hamilton/Mercedes dominance). To douse that fire entirely? A huge achievement. At 24, he hit what looks set to be remember as the high point of his F1 career. Alonso, however, was on the move. A deal agreed with McLaren in the winter of 2005 kicked in for 2007, beginning a story that would become a recurring theme through the remainder of his F1 career.